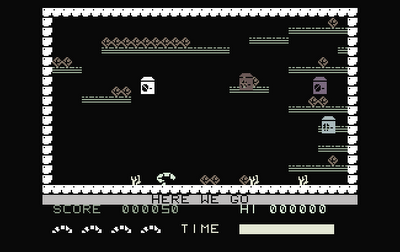 Achim's second game entry is clone of the popular Atari 2600 classic Keystone Kapers, tentatively titled Grand Theft Aldi. "First I'm going to code a more or less exact clone. But it's a very tiny game engine, which means more than enough time and memory left for all kinds of additional features". 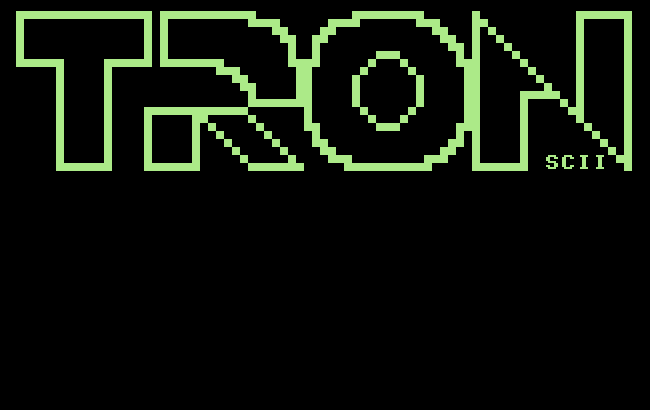 With a playable engine already submitted for testing, GTA is a solid entry that makes use of the top and bottom borders. I'm looking forward to playing the end result of this one! I know very little about this entry yet other than the tidbit of information Bago emailed me prior to this news post. "I think that I found a title for this game, it will be 'Steel Duck' and it's attempt to create an arcade game". Intriguing! Entered in last year's competition, Georg's Forget Me Not tribute Get 'Em showed a lot of potential but was a little rough around the edges. 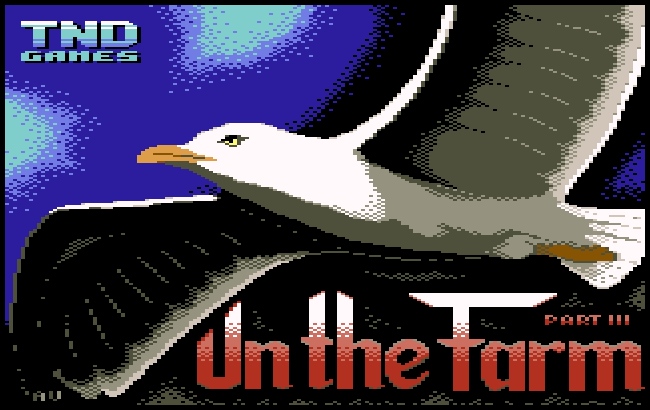 Now it's back, with an all new soundtrack by Odie, graphics by iLKke, a much needed two player mode and other enhancements. However, Georg's main compo entry this year will be Wonderland. "It's a Zelda (1) clone. 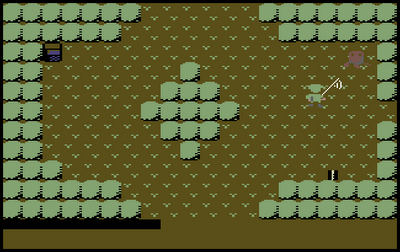 So far I've worked on the screen building, and you can run around to slay randomly wandering octopusses". With his recent work with Smila, I'm sure that the final version will be much better looking than this early screenshot suggests - and I'm really interested to see how much adventuring he can cram within that tiny file size! 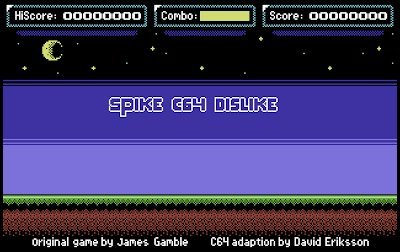 Another game that has already seen a release on the C64, Spike C64 Dislike is a demake of a simple one-button iOS/flash game by James Gamble. 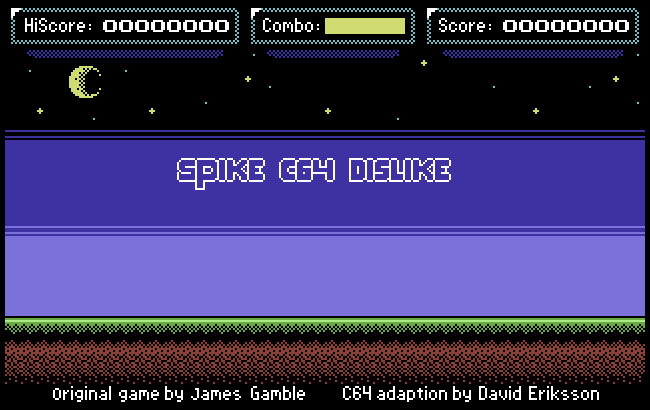 David Eriksson was also responsible for the excellent Driar on the NES and emailed me to say that Spike C64 Dislike was probably going to be one of two entries submitted. 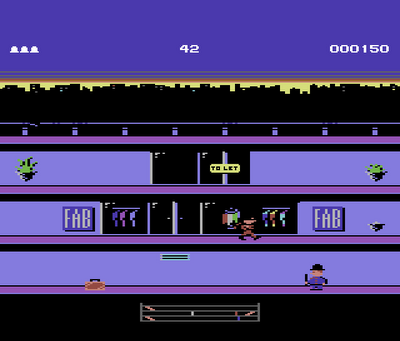 Fnac is probably the biggest surprise entry this year, returning to the C64 scene after last being active back in 1994! He had this to say about his entry, "I actually thought of a game similar to THC Bros for the compo, should fit well into 16k too. And I already have a name for it, 'Twinblaster' :)". Unfortunately I've not heard anything from Fnac for a few months now - hopefully he's too busy coding to answer my mails! Little Sara Sister 2 is a Giana Sisters tribute that has been in development since the mid-2000's and ice00 has ambitiously stated that "the game will feature a normal walking area, an underground-tunnel area, a jump-fly area, an antarctica area and a desert area". It'll be nice to see this game finished! I was disappointed that Jeffrey's wacky-looking Spacer-X didn't make it into the competition last year - his debut release Dunjon Battler may have looked primative, but it was a silly amount of fun, and Spacer-X promised the same. So what is Katabatia? 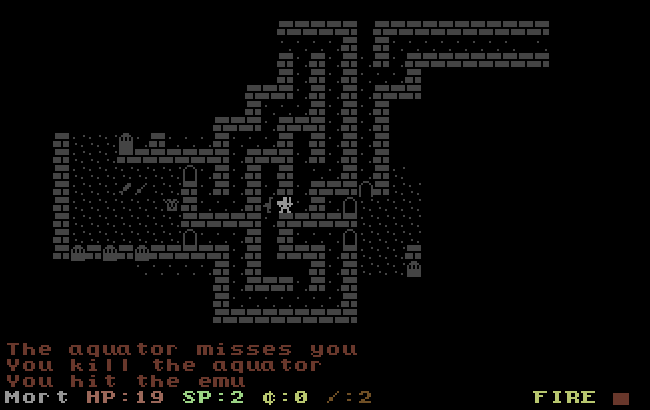 "Katabatia will be a like Rogue, or a roguelike... if you like". Katabatia looks really promising - here at RGCD we're looking forward to bashing emus and aquators! As always, Paul is staying very tight-lipped about his game. 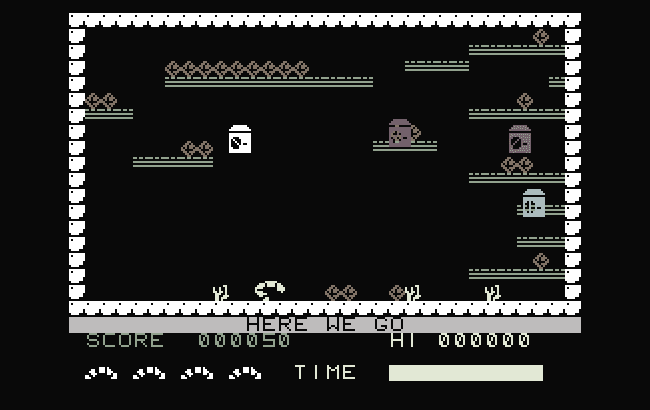 All I can forward on is that Paul's entry is another official C64 demake of a popular indie game and it will also be the first combined PS-Vita/C64 title launch ever. Hype! Another competition veteran, Richard is back with a new game called 'Amazon Tales'. 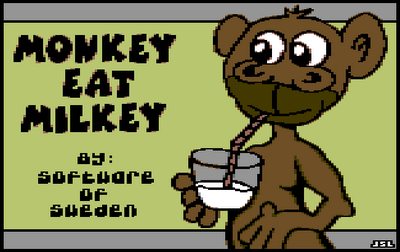 "I had a load of graphics by Alf Yngve for a game, which I never actually got to program. 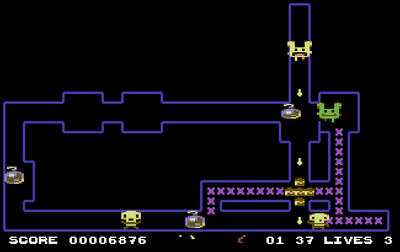 Alf created the graphics using the Sideways shoot 'em up construction kit. 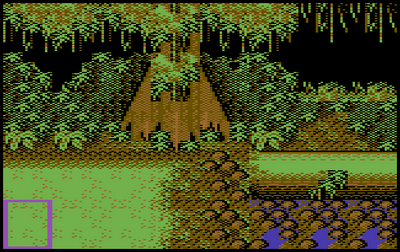 I am sure I can port the graphics and sprite data to my code. 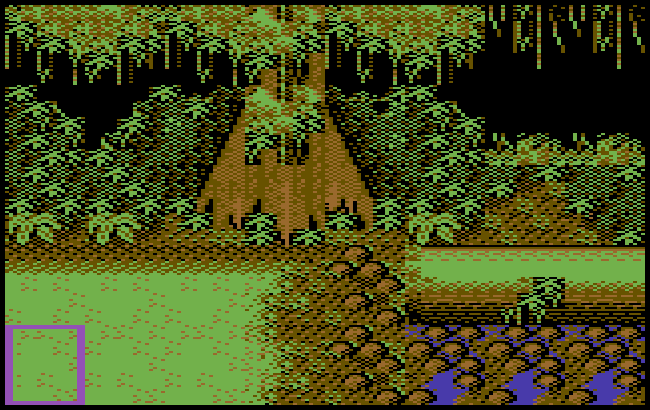 The background looks very nice and the sprites are pretty cool. Fitting the game to 16KB could possibly be a challenge, but I have to program it first!". You've got to love that name haven't you? But what about the game? "Monkey Eat Milkey is a silly game with an even more stupid name - it's gonna be a joystick killer for one or two players". Unfortunately I don't have any information to relay about Simon's entry, but given his history I'd expect something special. Another unknown I'm afraid, but this is the team that bought us the innovative Beam so it's likely that they'll deliver something impressive. 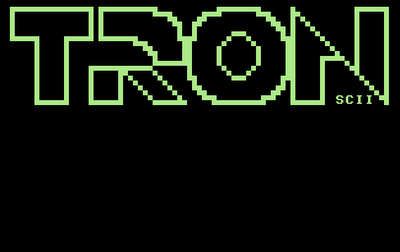 Slarti has been working on a two player light cycles clone that he describes as "a tron PETSCII based game with colour cycling and all the frills". Hopefully I'll have more news on this one soon. Joonas emailed me a few weeks ago about his game. "Well, I have great news to tell regarding 'Escape from the Laundry' the game is nearly completed! 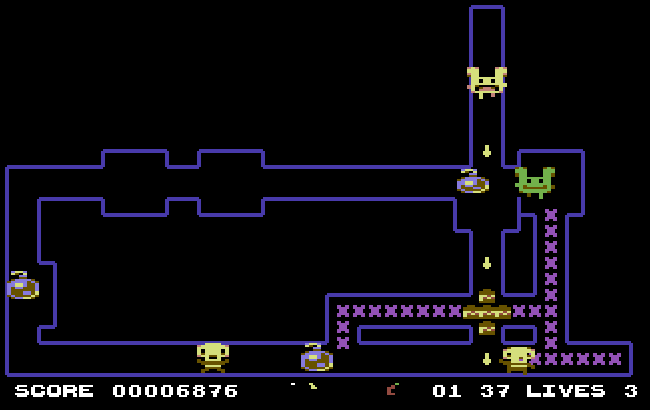 It is a very Manic Miner-esque game with a worm as the protagonist". I'm not quite sure what a worm is doing in a laundry, but I'm sure we'll find out soon! Finally, last year's winner will be returning to the competition but as yet is remaining very secretive about his project. With his work on Fairy Well impressing all the judges, Mix256 will surely be a name to watch again this year. And that is all I have for now - hopefully there will be more information to share in the next update! 17 entries. That is quite impressive. And some very promising as well. Can't wait for december to come. Thanks for the update James! Katabatia is probably the most interesting title of the bunch for me. Mostly because I'm a sucker for Roguelikes. Though I don't understand really, are all the games for the competition going to be cartridge games? 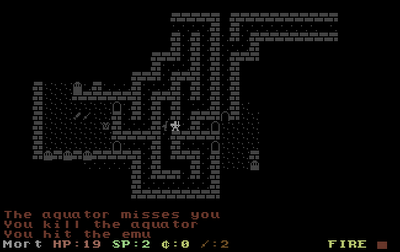 A Roguelike needs a save feature. Some of the games support saving to disk or tape. Hiya, I have a Game idea that The Mad Scientist would probably be interested in doing maybe? LOL! Please contact James Monkman ( if thats ok with him! ) so he can let me know :-> Thanks! Wayne / Art Ravers. Thankyou James, All being well I will get something done for you on Cartridge - Maybe UP IN THE AIR or one of these other Games I have worked on and of course there is always my CAMELS IN SPACE 2 Project which should appeal to Jeff Minter Fans... :-> Just need a Coder now LOL!